For organizations, staying a step ahead of their competitors translates to delivering customer services and goods that stand apart from the rest. This makes the understanding of customers and their buying patterns, and then delivering a corresponding service or product even more vital. Alibaba Cloud DSP Solution is capable of fetching rapid updates to marketing websites based on user behavior, customer feedback, or competitor moves. It also integrates them into the advertisements that users see. 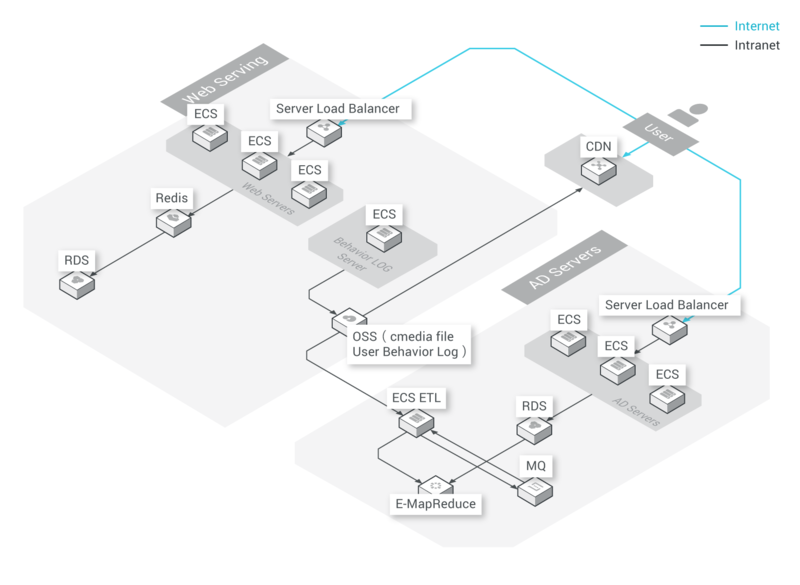 Organizations can use Server Load Balancer and Elastic Compute Service (ECS) while displaying advertisements. Furthermore, businesses can store the user access behavior log in Object Storage Service (OSS) for subsequent offline calculations and other online data in the ApsaraDB for RDS database. Additionally, businesses can store pictures, videos, and other static resources in the web server with OSS to reduce storage costs. Once stored, it is possible to use Alibaba Cloud Content Delivery Network (CDN) to accelerate those static resources, effectively reducing the latency of content delivery to the user.